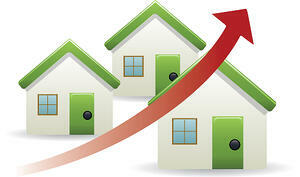 The median price increased 2 percent and rose to $240,000. The New Hampshire Association of Realtors compiled the data. Second quarter residential sales declined 1 percent compared to the second quarter of 2013, with 3,885 homes sold compared to 3,939 in Q2 2013. The second quarter median price increased $230,471, a 5 percent increase over the same period in 2013. New Hampshire residential inventory improved, with more than 3,000 new listings hitting the real estate market in June, a 13 percent increase compared to June 2013. With months of supply at 11.2 months in June, NH home buyers have plenty of inventory to choose from compared to Massachusetts home buyers.